Happy New Month! A New Quarter too. 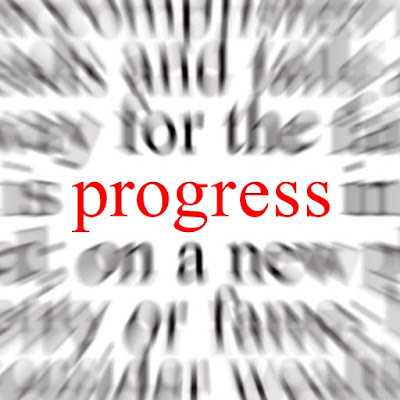 Making Progress? Welcome to the 2nd quarter of this year and to the month of April! And I hope you are sticking your neck out. Why? Because it's the only way to make progress. Think about the snail and the turtle, they only make progress by sticking their necks out. I know you are no turtle nor snail, but the rule applies still. Nothing ventured, nothing gained. This year has been a good one for me so far. We ventured to expanding to Abuja and we succeeded. On the very week of the training I wasn't sure if we won't make a loss. As the training dates neared, new challenges propped up. How was I going to print certificate for the people who paid a day to training and on the very day of the training? The organizing team are in Lagos, especially our graphics and printing guy. In fact, in the rush of the training organizing I forwarded wrong mails to some people. One of our past trainee had pleaded for a deep discount to sponsor his sister for the training, I gave him 20% discount and included "as discussed on phone" in the email I sent him. Another person needed me to send the details and payment account of the training, I forwarded him that email forgetting that the content had been modified for a special case. Result: The original discount awardee didn't end up paying and the other person must have been surprised by the sudden price reduction and paid just that. A costly mix-up. Still we managed to pull through profitably. For this coming quarter, the big goal is to build up our software arm. The business has three arms: training, consulting and software. The training arm is doing great (well, good). The consulting arm, though limited by our technical resources, is also attracting clients. It is the software arm that is still a worry. We want to have software products we can sell and have marketers for. That way we can scale the business easily. There is just so much training we can do, taking to consideration that marketing training is very time and resource consuming. The consulting arm is almost peaked out due to resource limitation. If we can build software that meets a general need, then we can sell it and have a revenue stream that is independent of our resources and time. And now, it is the only way to get out of my being over worked. Training and consulting are basically a brain + brawn work. You have to expend the same energy over and over for the same results, Software, however, will require fewer energy and resources for the same or even greater results. Plus it is where the most growth lies for us. So it's our strategic goal for this quarter and probably the rest of the year. Have you also made your stick out plan for the quarter/month?